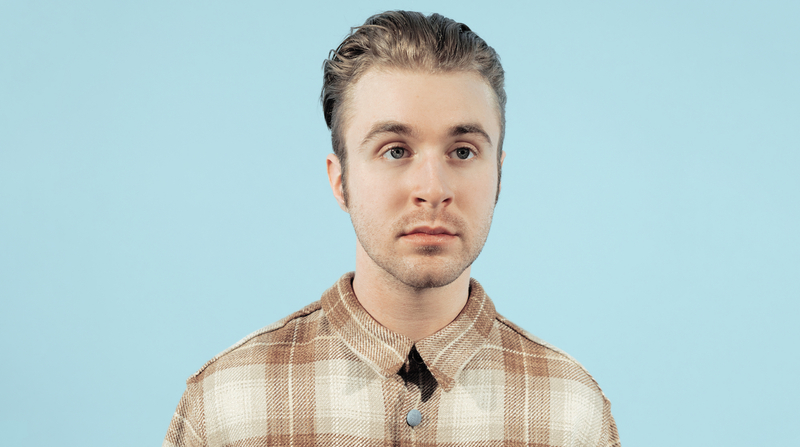 Hibou’s latest album Something Familiar is a cozy pop daydream fit for a road trip, a run through the park, or a rainy afternoon cuddled up in your softest blankets. It’s smooth, original, and combines luxurious keyboards with casual and almost familiar melodies. The subject matter of the LP is distinctly personal and marks a lyrical shift in his previous material, but he doesn’t stray too far—the tone he sets is an evolution rather than a rebellion. Peter Michel, the man behind the synth-pop goodness, has come a long way since 2015, when he recorded his self-titled debut album in a walk-in closet. In support of his latest LP (which hit shelves just last Friday), the Seattle-based musician will embark on a West Coast tour to perform his new tracks for the masses. He’ll be making stops in Los Angeles, San Diego, San Francisco, and Portland throughout March, with more dates to be announced. Ahead of the run, Michel gave us the scoop on what songs he'll have on repeat while on tour, (hint: My Bloody Valentine, Loving, and Bright Eyes). Check out his picks below, and make sure to track this rising star on Bandsintown to stay updated on his North American tour! "One of my favorite things is when a band performs a song so well live that it creates a whole new perspective of the album version. That happened with this song, and whenever I listen to it, that evening pours back in all of its purity." "If I close my eyes and listen carefully to this song, I can almost feel lazy sunshine on my eyelids, taste Choco Tacos, and smell lavender soda.. sensations that seem completely lost during the the winter months in Seattle." "I stumbled across this last week & it hit a sweet spot. Something I really like about this song is the contrast of how spicy the verse sounds against the wisp & sweetness of the chorus." "Paul Simon just announced his ‘Farewell Tour’ which is quite sad to me.. he’s always been a favorite of mine & I’ve consistently looked up to him. This song is completely timeless." "'What’s left for you and me? I ask that question rhetorically.' Very drama, very good.. reminds me of something Audrey Hepburn would say." "Good dark groover. I remember the first time I listened to this song, and the section that hits at :31 seconds blew my mind. It’s so sinister & secret & spooky." "Sounds how Gold Bond feels." "My favorite record of 2017. Every element of every song is beautiful, it was nearly impossible to choose just one. Her words tinker and wrap around every melody so perfectly. I feel like I more rarely hear (or maybe believe) the amount of emotion vs lyrics being sung in modern music, Big Thief answers to that. I suppose I shouldn’t expect anything less from Saddle Creek ;)"
"Now my mind is on Saddle Creek. Also it’s just obligatory to put Bright Eyes on an Hibou-built playlist. “Death. Data Entry. Ant Hill Law.” What a way to begin an album." "This is an A+ song to take a bath to in pitch blackness, with a jawbreaker in one hand and a bath bomb in the other."